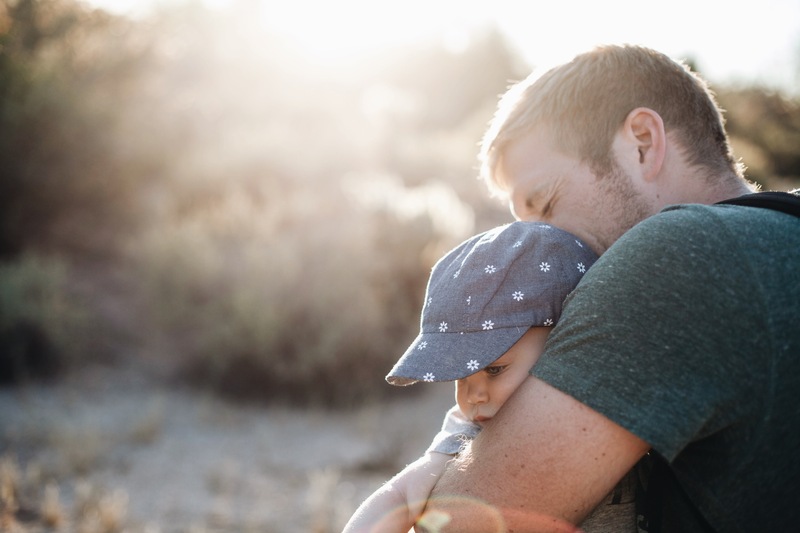 Father’s Day is less than two weeks away and if you’re anything like me, you are currently struggling to figure out just what to get your dad. I mean, Dads are the ones who taught us how to play baseball, the ones who embarrass us with dad jokes, and the one who even did our hair for us when we were younger and Mom was gone for the day (who knew Dads could be so skilled in the art of braiding?). If your Pops already has the drawer full of ties, baseball caps, and homemade glittery crafts you made him in elementary school, here are ten unique gifts that not only will your dad love, but will also help the world in some way! 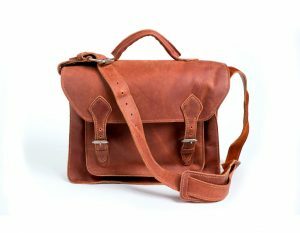 Matias Briefcase from Mission Lazarus, $210-This sleek briefcase, perfect for holding Dad’s important documents and laptop, is made by Haitian and Honduran artisans. A portion of the purchase will go towards funding the vocational training schools for the artisans, the agricultural programs, and the orphanage that Mission Lazarus runs. Touchscreen Watch from 1Face, $39-Help Dad keep track of time with these sleek wrist watches. 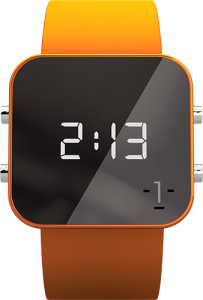 There are eight color options for these watches and each color donates to a different charity so if your dad has a love for animals, you can purchase him the orange one or if he is passionate about helping with childhood hunger, grab him the white watch. 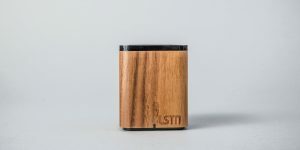 Walnut Wood Satellite Bluetooth Speaker from LSTN, $99-These speakers will not only let Dad jam out to his favorite Led Zeppelin songs, but also for each one purchased, a portion of the proceeds will be donated to the Starkey Hearing Foundation to provide hearing aids to people across the globe. 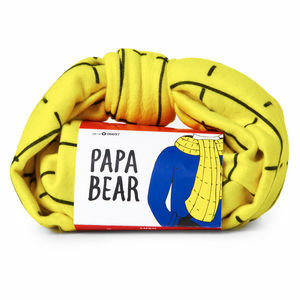 Papa Bear gift package from Lush, $34.95-Who says that Dads can’t have a little pampering too? Bring the spa to your dad with this adorably packaged Father’s Day-themed gift set from Lush which includes soap, a shampoo bar, a facial scrub, and a multi-purpose cream all infused with sandalwood scent. The items from Lush do more than just smell good though; every product has been made with ethically bought, vegetarian ingredients, does not test on animals, and does not use wasteful packaging. 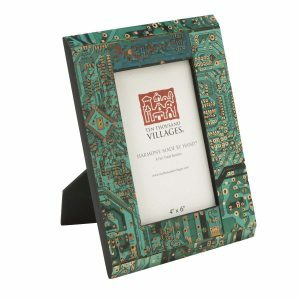 Picture Frame from Ten Thousand Villages, $24.99-Remind your father of the awesome child you are by slipping in a cute #TBT photo of you and him into one of these gorgeous picture frames. These handmade frames are made by disadvantaged artisans all over the world who, with the purchase of this frame and other home décor items from Ten Thousand Villages, are able to receive a steady income for them and their families. Spirits from FAIR Spirits, varied prices-Whether it’s to celebrate a special occasion with family and friends or just to sit down and read the paper, dads can always appreciate a nice drink. 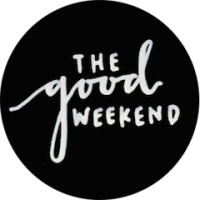 Choose from award-winning vodka, rum, gin, and more spirits from this Fair Trade certified company that is intent on abiding by ethical business practices, including compensating its farmers at a fair price. Sunglasses from SOLVE Sunglasses, $94-$114-The hot weather requires a pair of snazzy sunglasses to shield the sun, so get Dad prepped for this summer with a pair of SOLVE Sunglasses. Each pair bought provides one person in need with clean water for life. 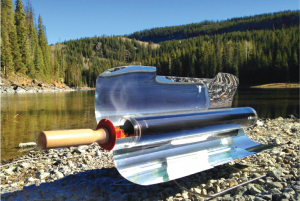 GoSun Sport Solar Oven from GoSun, $279–Your dad will love cooking hot dogs, potatoes, and even baked goods in this futuristic-looking fuel-free oven that relies solely on solar energy. It’s a double-whammy for the environment too—not only does it combat global warming by not using fossil fuels, but for every oven purchased, GoSun will also plant 20 new trees! 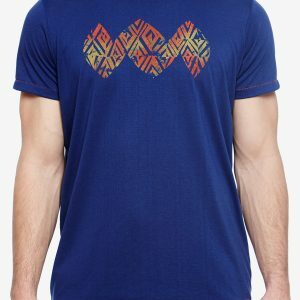 Guate Logo Tee from Janji, $38-This athletic T-shirt, which features running company Janji’s flattened globe logo, is made of breathable, quick-drying Waterfall performance fabric to keep your dad sweat-proof on his morning runs. And while Dad stays dry, someone across the country is staying hydrated! For every shirt purchased, one person in a third-world country is given clean water for a year. Original Fragrance 4Him from The THX Co., $10-This masculine scent, infused with hints of citrus and coriander and complimented by oak moss and cedar, will have Dad thinking of you each time he spritzes some on. While you may be shocked by the low price of ten dollars, this is simply The THX Co.’s effort to creating an ethical brand; rather than charging $60 like some companies do, it charges just the bare minimum to cover the costs of production, storage, operation, and wages. As you order online, the company then gives you the option to donate $1 to $7 to a cause of your choice, hoping that the money you’re saving will encourage you to give a little something extra to someone in need. Getting a great gift for Dad on the cheap and helping someone out? Yes, please!